This week, we quietly had a significant occurrence within our Urology family. 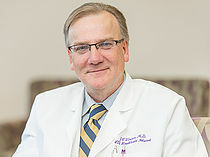 Dr. Harold “Tony” Fuselier officially stepped down from his supervisory role of the UMCNO LSU L-Urology Clinic. Although I will emphasize that Tony is NOT retiring, his stepping down from this role is just one milestone in an AMAZING career in academic Urology. It is undeniable that Dr. Fuselier is one of the most significant Patriarchs in Urology in the State of Louisiana and the Southeastern United States. Hundreds of Urologists and countless students have been personally mentored and inspired by Dr. Fuselier. I can personally attest to his unique fatherly reassurance and inspiration throughout my career. It was Tony that nearly single-handedly directed me to my career in academic Urology, leading me to where I am today. I know that nearly every LSU and Ochsner Urology graduate and every LSU Urology student who trained with Tony feel very much the same way. The impact that Dr. Fuselier has had on Urology in this state is immeasurable, and we are very grateful that Dr. Fuselier will remain with us, mentoring learners and supervising endoscopic cases in the operating room. To celebrate Dr. Fuselier, please plan to join us in October for the LSU Visiting Professorship in Urology. At that time, the inaugural Harold A. Fuselier Lectureship in Urology will begin. In this annual lectureship, one of Dr. Fuselier’ s “kids” will return to LSU to lecture and interact with our current residents and students. This year, Dr. Carrington Mason will deliver this lecture in his honor. We look very forward to that. So please join me in congratulating and thanking Dr. Fuselier for all he has done for our Department and more importantly for all of organized urology in the State of Louisiana! Our pediatric urologists are proud to announce the availability of robotic urologic surgery at Children's Hospital New Orleans. After several years of performing pediatric robotic surgery at our partner institution, Touro Infirmary, the pediatric urology faculty championed the purchase of a DaVinci robot dedicated to the sole use of robotic surgery in children. Through this acquisition, Children's Hospital has the only pediatric-dedicated robotic program in the state of Louisiana and the Gulf South. To date our surgeons have performed a wide array of robotic cases including pyeloplasty, ureteral reimplantation, partial and heminephrectomies, and creation of catheterizable channels. We look forward to expanding this service to meet the region's needs. Welcome to the department of urology website. Over the last several years we have expanded our faculty as well as added clinic locations to better serve our patients. Our faculty includes specialists in pediatric urology, infertility, erectile dysfunction, urologic oncology as well as female urology and voiding dysfunction. We are currently providing inpatient and outpatient care at the following clinical locations: University Medical Center-New Orleans, East Jefferson General Hospital, Touro Infirmary, and Children's Hospital. Our department continues to partner with our community medical centers to enhance urological clinical care pathways in all areas of urology. We have embraced the LSU mission of having a strong presence in the community, and we will continue to expand these programs. Our competitive ACGME accredited residency program includes two residents per year for five years. While clinicial experience and diversity is very strong, our program is unique in the educational structure and faculty support/participation. Our residents have become active participants in state, regional, and national meetings as our research programs continue to grow. Upon completion of their residency, our residents persue a mixture of fellowship training or private practice. As we continue to grow, we will remain focused adhering to the mission of education, research, and patient care, which is the essence of the LSU School of Medicine. Please come back often and visit the site to monitor our progress. I would love to hear from all interested faculty and alumni on how we can grow to serve your needs. This is an exciting time for all of us as our department continues unprecedented growth. I am honored to represent the outstanding urologists of LSU into a model of care, which embraces the extension of complex urologic care to the unique communities of New Orleans.